Artists choose Indian Red for architectural renderings, old brick and other subjects where a flat (matte) granular surface is desired. 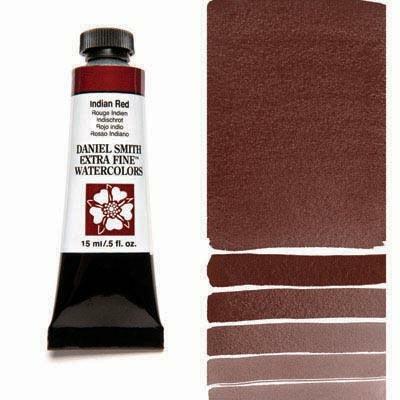 The opacity and density intrinsic to Indian Red make this grayed earth brown a useful asset. One coat of this low-intensity pigment covers even a highly saturated passage. Yellow Ochre, Cerulean Blue and Indian Red form an opaque triad, producing grayed, earthlike mixtures common to landscapes. Handling tip: Hit it once and walk away.